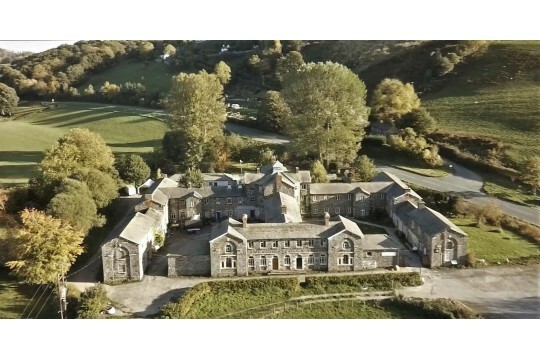 We are restoring Llanfyllin's historic Workhouse as a vibrant community enterprise. Ours is one of the finest Victorian workhouses in Britain: a handsome stone building in a beautiful setting. It stood empty and abandoned when our local trust acquired it in 2004 with the aim of preserving it for the community and the nation. Today, thanks to the efforts of local volunteers much of the building is back in use. A town with only 1,500 people is home to one of the biggest heritage projects in Wales. Now the Trust is facing its greatest challenge: restoring the Master's House. We provide work space for 15 local enterprises: artists and craftspeople. People come for craft markets, art exhibitions, music festivals, gardening courses, weddings, horse and pony shows. Walkers, rowers and cyclists stay in our bunkhouse. Families attend forest schools or nature weekends. Visitors from home and abroad come to see the only workhouse museum in Wales. But all this is at risk. 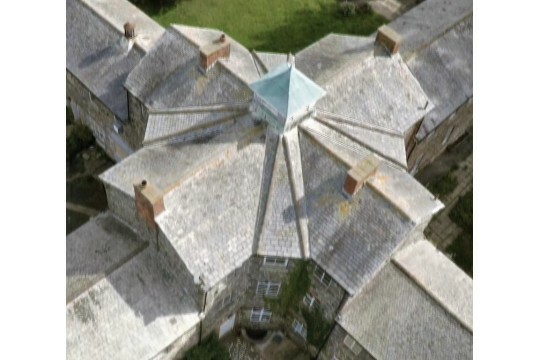 The roof of the Master's House at the heart of the building is decaying and in urgent need of repair. A prominent historic building that was once a derelict eyesore is now used and cared for, serving the community, attracting visitors and generating pride in our heritage. Full restoration of the Master's House will enable us to secure all this and to develop the upper floors: we can provide more workshops, a fine function room and classroom and a lift giving access to all. And we can restore the fine classical cupola, once visible from afar. All donations will go to our Master's House Appeal. We need volunteers to maintain the building and gardens; help with events and activities; welcome visitors or research the building's history.